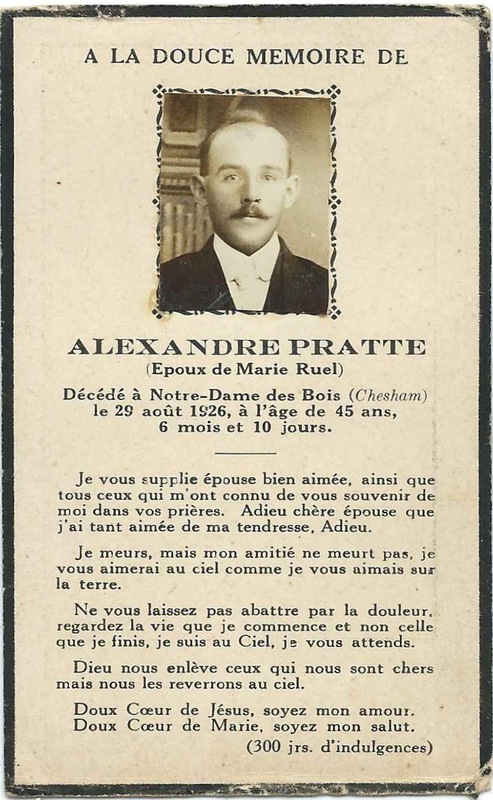 Memorial card published on the occasion of the death of Alexandre Pratt, husband of Marie Ruel. 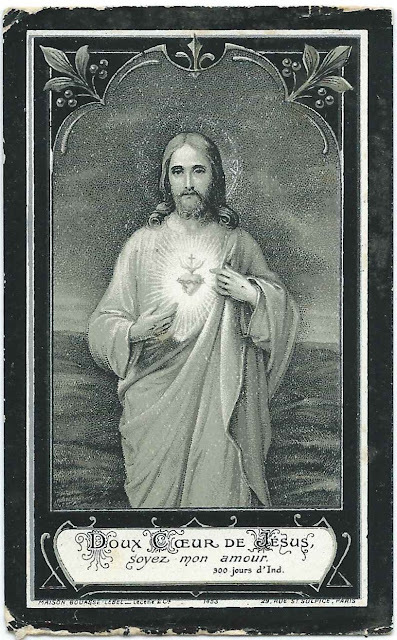 Alexandre died August 29, 1926 at the age of 45 at Notre-Dame-des-Bois, in Quebec, near the borders of Maine and New Hampshire. Alexandre was born about 1880, the son of Louis and Zenaide (Loiselle) Pratte. Marie was born about 1883, the daughter John-Joseph and Obeline (Therrien) Ruel. Alexandre and Marie married in 1903 and had, I believe, two children.